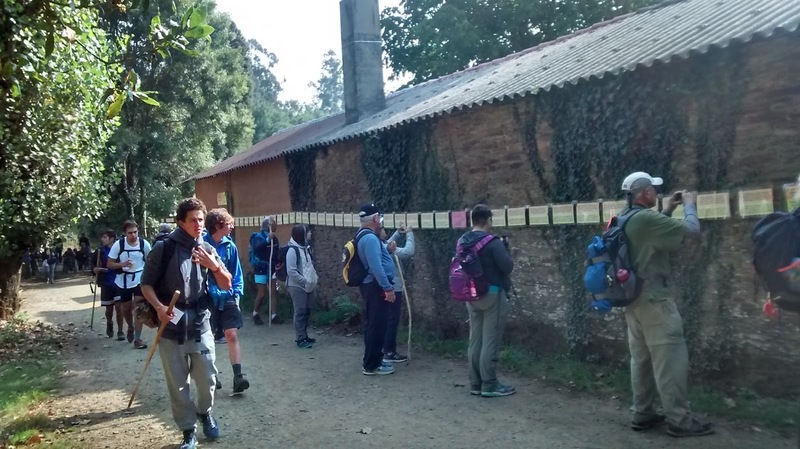 This year, pilgrims find philosophical messages at both Castañeda (km 44) and Tabernavella (km 33). 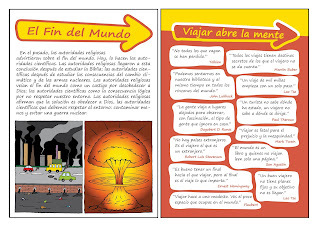 "WELCOME TO ARZÚA: LAND OF CHEESE, HONEY AND PHILOSOPHY"
At ‘Antoxos’, a shop next to the Arzúa tourist office (km 39), pilgrims can purchase a booklet, for only 1 euro, that holds all of these messages and also offers a collection of interesting quotations about differents subjects (God, wisdom, religion, war, empathy, vegetarianism, etc.) 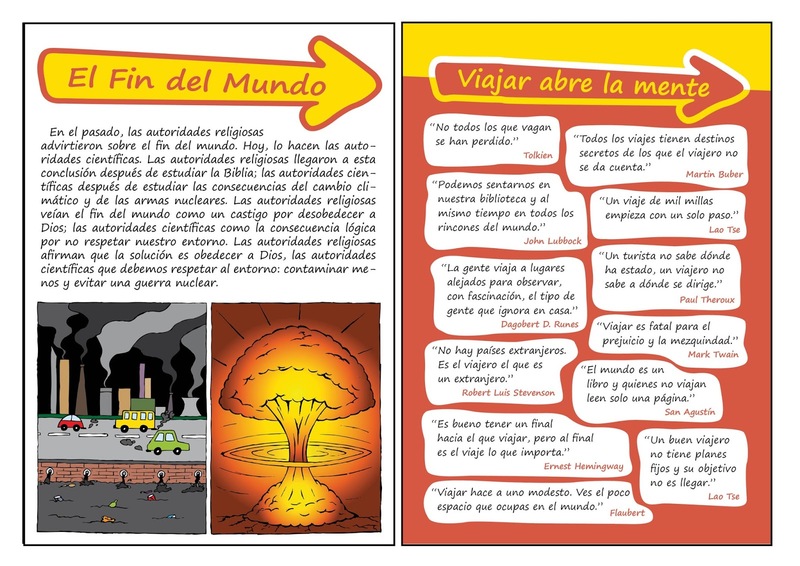 by different authors (Pope Francis, Albert Einstein, Bukovski, Kierkegaard, Karl Marx, etc.). 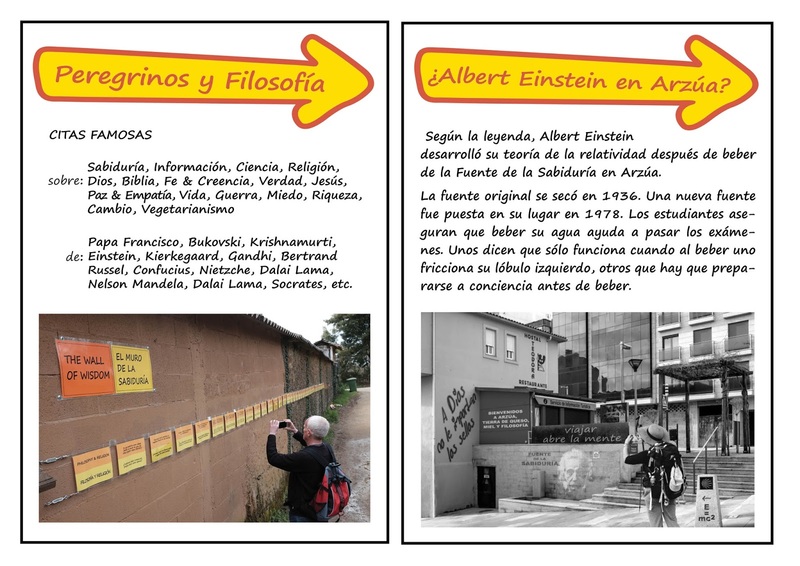 The sale of these booklets and of cards with 12 interesting ‘Travel broadens the Mind’ quotations (also 1 euro), help to sponsor these philosophical messages. 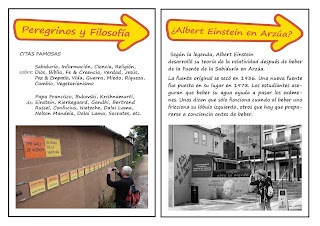 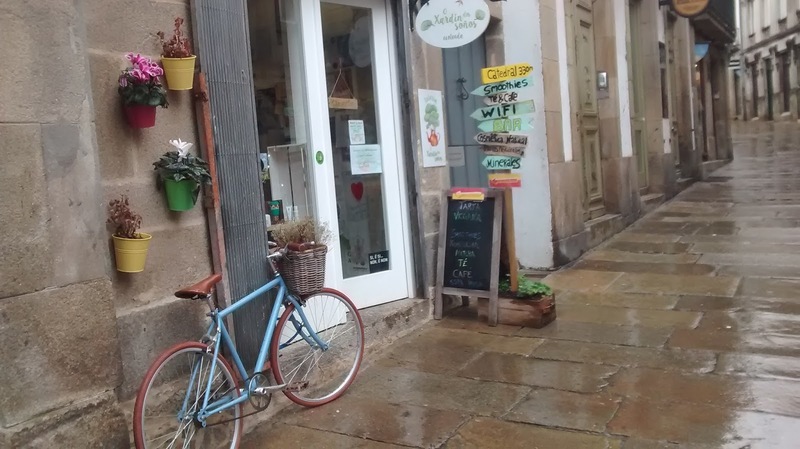 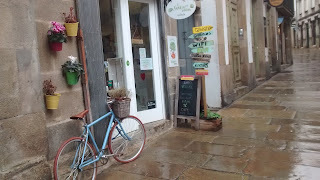 The ‘Pilgrims & Philosophy’ booklets and the ‘Travel Broadens the Mind’ cards can also be purchased at Bar La Calzada (km 32), Bar Tia Dolores (km 30) and in Santiago at O Xardín dos Soños (Casas Reais 38), which is an eco shop with a tea house at the back. 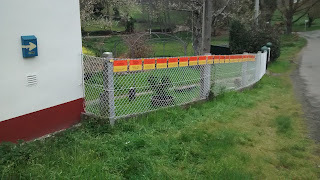 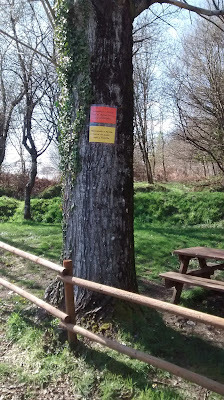 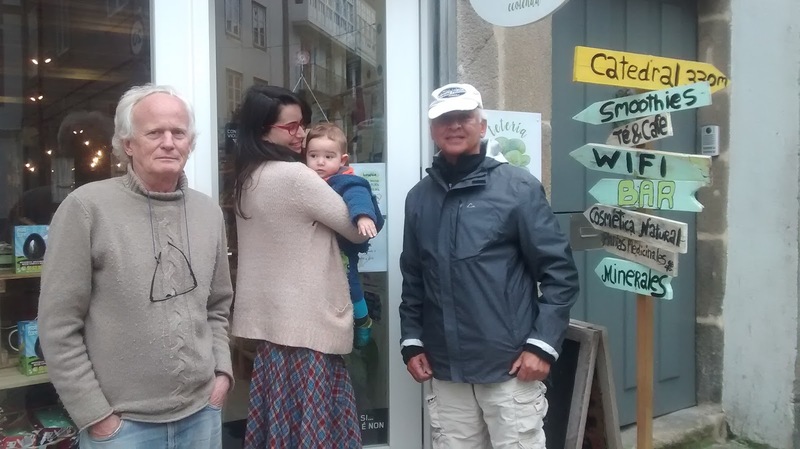 'O Xardín dos Soños' is a quiet place, on the Camino de Santiago, right after entering the old town, run by Isabel, from Galicia, and Kenny, from Bélgica, who have travelled around the world for years and met each other in Nepal.